The war in China-India-Burma theatre is always looked at as through a veil; perceived as a backwater front of the far larger conflict that was World War Two. Nevertheless, this war was vital to the final Allied victory in the Pacific, and even more so to the impact this war would have on the post-war world. Many “what-ifs” could have dramatically changed the world. What if China had surrendered in 1937 and over a million Japanese soldiers would be free to overrun India. There would be no Flying Tigers or Doolittle's Raid, or even Pearl Harbor. If Japan could have mobilized Chinese manpower, the world as we know it might not exist. War of the Suns (WotS) was first designed by Leonard To, a Hong Kong native, more than 20 years ago. 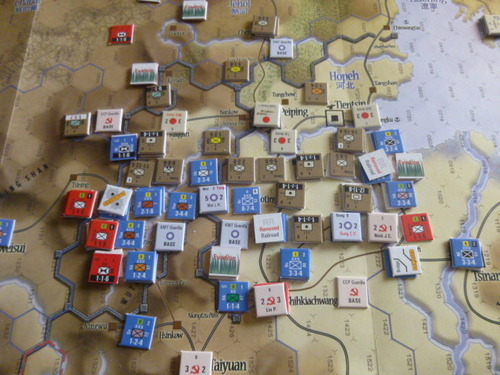 It won the championship of the First Wargame Design Competition in Hong Kong in 1984. The game has since been updated in the early 90's, and extensively again during the last 3 years. 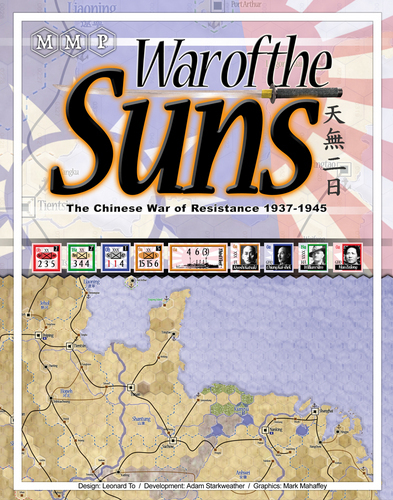 Offering exclusive research based on recently opened Chinese archives, as well as many Japanese and English sources, has made War of the Suns one of the most painstakingly researched and accurate games of its type ever made. 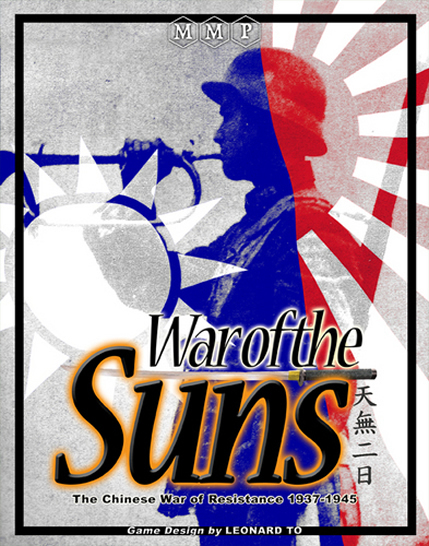 The title of the — "War of the Suns", refers to the flags of Kuomintang China and Imperial Japan. The game itself covers the period from July 1937 to August 1945. 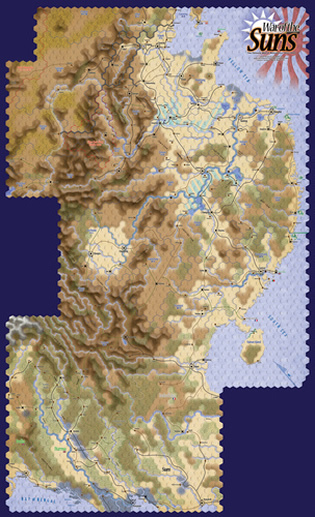 The roughly 1:3,000,000 map covers most of China proper, Burma, Assam area of India, and parts of Thailand and Indochina. 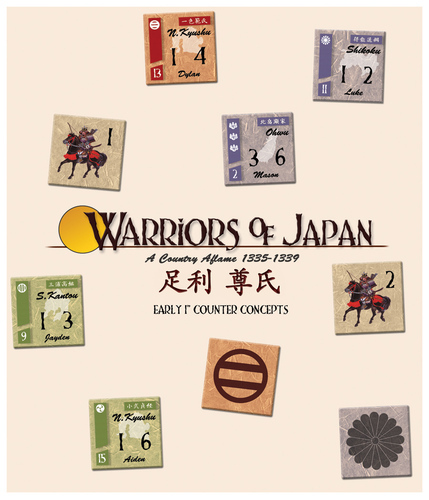 There is a campaign game as well as 5 separate scenarios, and the game can be played as a 1-4 players' game-with players taking the roles of Japanese, KMT, CCP, and British Commonwealth. 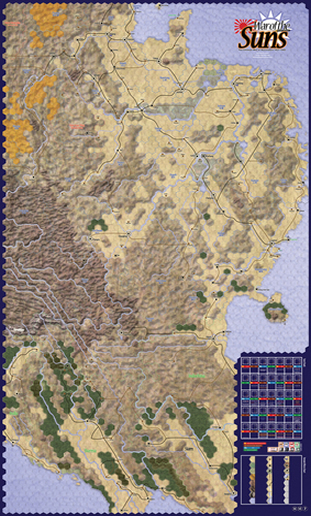 In the game, politics will play as vital a role in how the game progresses as the units presented on the map. 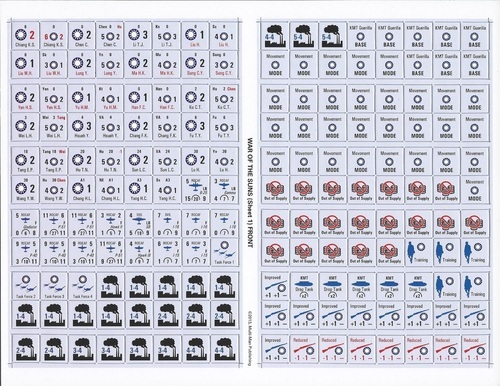 Other key game concepts include: The HQ activation system - Players move units under the activated HQ. The number of activated HQs is affected by command points, the quality of HQ selected, and whether China is cut off from foreign routes. Randomness and quality of the HQ affects who moves what first. The KMT replacement system - KMT units are divided into 3 levels: The elite units with imported weapons; the standard units equipped with what Chinese herself produced; and the local units which simply bought whatever they could find locally. The Political Affiliation system - Each warlord and minor country has its own home territory. They may be affiliated with different players at different levels under different conditions. Friend may become foe with a random or historical triggering event. The Guerilla System - From the setting up of guerrilla bases to a unique combat system, Guerrilla actions from CCP, KMT, and even British player can be as active as the front line. Optional Rules - The game does not shy away from controversial subjects such as wartime atrocity, opium production, and Japanese collaborators. It also includes an "alternate history" section that probes into many "what if?" situations, e.g. what if Stilwell has not been recalled, but instead was capable of commanding all the Chinese forces?